Mobile Number Portability: Guide to changing Telecom operators! Mobile Number Portability is well and truly here after near unending delays over past couple of years. Telecom minister Kapil Sibal unveiled mobile number portability in Haryana on 25th November. Most of the country will have this facility by the New Year, while it will be available throughout the country by March 2011. But there are several things about MNP that are not known to the public. Let us take a look at what it is all about. What is MNP all about? 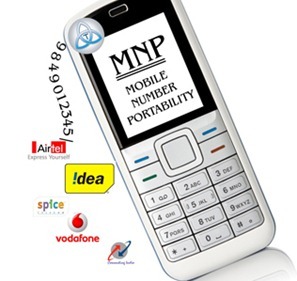 MNP is the facility that lets a mobile phone subscriber retain his/her original mobile number even after moving from one service provider to another. To use MNP facility, the subscriber will have to pay a non-refundable fixed charge of Rs.19. Well Rs. 19 is nothing to get rid of single bar signals and call drops!! Moreover you don’t need to give out a new number to anyone, because it still remains the same! After shifting to a new provider you need to stick with them for a minimum lock-in period of 90 days before shifting to another provider. It sounds fair enough but can be a nightmare for you if your new operator is even worse than the previous one. So, one thing you must ensure – Before moving your service providers, check all facets and pricing of services offered. 6 Simple steps to change your existing Telecom Provider! Send an SMS to 1900 in following format: PORT – eg. PORT 9822123456. You will get an SMS reply that contains a unique porting code. SMS to the preferred operator quoting the unique code. This code is valid only for a few days, and one must apply again if it expires. Your existing operator will check with new operator & if there are no dues then approval will be given for porting. You will get an SMS on the time and date when porting will take place. Rules mandate that process be completed within 4 days of applying. After porting is complete, wait for an SMS from your new operator confirming the switch. Your phone may be dead for about 2 hours when the porting takes place. Tata Docomo has launched a section on Mobile Number Portability. The offers include free talk-time and Free 3G services usage. BSNL has offered free talk time of Rs. 100, and free unlimited GPRS for a month. Here is an interesting question to you – To every person I have spoken to , everybody is going to go for MNP. What about you…how many of you re going to switch providers ? Let us know..
"Mobile Number Portability: Guide to changing Telecom operators! ", 5 out of 5 based on 1 ratings. Micromax makes Android Debut with A60 ! Soon, You Will Not Need ‘0’ or ‘+91’ Prefix To Dial STD Numbers! Hey I am not getting step 3.I got the unique code but at which number should I sms this code? i just convert my Vodafone prepaid to postpaid. But they disconnect my outgoing because of the address proof. I called customer care many time to send an executive for address proof but they didn’t , and never solve my problem. Now i cant send any message to any1, not even to 1900.
can you tell me how can i switch my operator? any alternative to switch to another operator? Hi frnds……is there anybody tell me abt the mtnl portability customer care number……..! well currently am having an idea connection and i face problems with its connectivity so shud i go for vodafone or shud i stick to idea only? what about the existing call rates/ tariff ?? it will be same after porting? According to the news you can change from CDMA to GSM and vice versa. But thinking logically, if u change frm CDMA to GSM you need a change of handset too ! these 2 are different technologies. and u cant have the same handset wrking on it. And it wont take 7 days. Its just a matter of 2 hrs ( in usa it takes mins..lets see whn this happns in INDIA) ur phone will be dead during those 2 hrs…u cant make calls.. I am totaly agree with you, but my concern is is the number portable from TATA CDMA to Reliance GSM. And Tata Docomo says 7 days after u putforth your request. My question is we shouldnot have any balance amount for making a request, so if i ll make calls whom should i pay for these calls. Do we have the provision of changing service & the service provider. like Reliance CDMA to TATA Docomo GSM ??? And for these 7 days of porting, which operator will be responsible for my billing. Can i make or receive calls in these 7 days??? I will probably move from Vodafone to Idea in Delhi. Irrespective of their customer service and brand image, the coverage, call quality and web connectivity is any dat better than vodafone and airtel. Plus you dont get treated like dirt when you visit their showroom….. Chaging logo (airtel swirl) and slogan (vodafone happy to help) are completely contrast to their attitude towards their customers. Please dont make the mistake of switching to Idea. There is no connectivity most of the time and customer service is horrible. I have been victim of get idea. right now u can only change provider withing the same circle. what happens when a person moves from one circle to another? say from delhi to chennai… will the number still remain the same? Thanks ,I missed out on some of them. * User will have to obtain a unique porting number by sending a SMS. * The code along with filled forms and valid identity proof documents need to be submitted to the new operator. * Rs 19 is the switching fee. * A user can switch after 90 days of a new connection being activated. * Postpaid users need to clear all dues before applying to switch. * Prepaid users lose any remaining talk time after switching. * MNP request can be cancelled within 24 hours and a new request should be processed within 7 days. 2. Every couple of months some paid service like jokes, quote etc is activated without any reason- then one has to call the CC and get it stopped. 3. I todays market these guys actually charge for the calls to CC. Even their CC reps come off as rather cold and rude. Tatadocomo would be my choice- every happy with them on my other number. Everybody post the same steps for porting mobile no. But important point is what about our existing sim card? – After that time insert new sim and start using. So we have to apply and get the new sim card from the operator.